Elevate your on-the-job productivity. 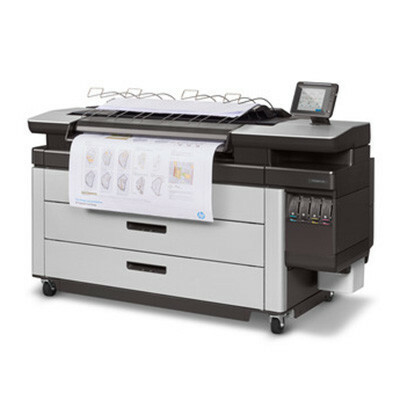 The HP PageWide XL 4600 Printer series consolidates monochrome and colour printing, as well as print/scan/copy in a single device. Fast, quality document production keeps the focus on moving projects forward. HP PageWide XL Technology takes the hassle out of printing—there’s no need to decide whether to send a particular document to the monochrome or colour device. The HP PageWide XL 4600 Printer series produces monochrome and colour in a single, easy-to use device with an MFP that can meet all your printing and scanning needs. The intuitive touchscreen with detailed preview and customisable print, scan, and copy presets, helps prevent errors and puts comprehensive print/scan/copy functionality just a few clicks away. The status light provides at-a-glance status information from a distance. Replacing ink or loading new rolls—no spindle needed—is simple and quick. 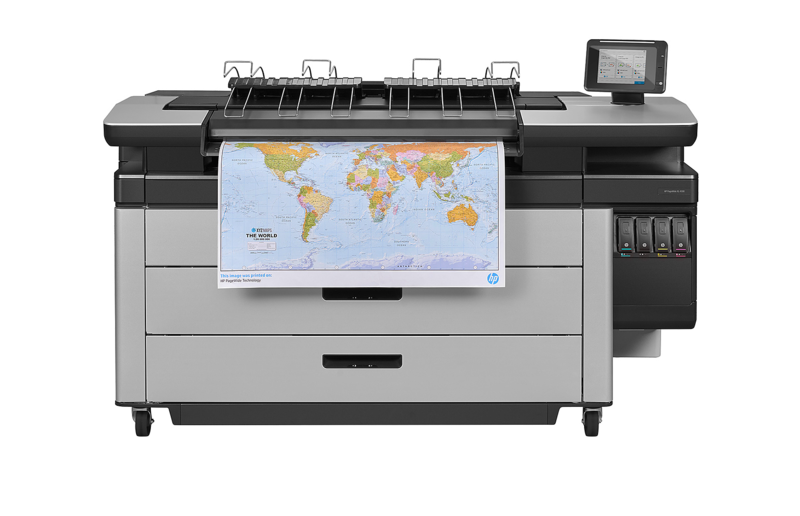 With four 400-ml HP ink cartridges and up to four 200 mtr long rolls, the HP PageWide XL 4600 series printers can run unattended for quite a long time. With a print speed up to 15 D/A1 pages per minute in both monochrome and colour, dealing with peaks and printing large projects is no longer a hassle. HP 841 PageWide XL Printheads, working with HP PageWide XL pigment ink, are designed to produce high-quality output with dark blacks, neutral grays, and vivid colours that are moisture and fade resistant. Accurate and reliable dot placement result in crisp lines, fine detail, and smooth grayscales. HP PageWide XL printers do not apply heat to the paper as part of the printing process, enabling very high levels of length accuracy (±0.1%). Anyone with a wide-format print requirement where speed is of the essence. 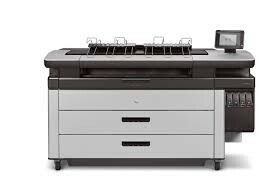 If your looking to replace an Oce Colorwave device or an ageing LED Black & white plan copier then look no further. Low TCO & incredible turn of output speed.